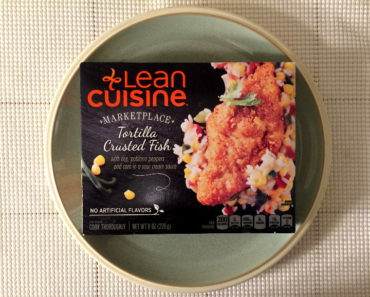 While we’re obviously huge fans of frozen food here at Freezer Meal Frenzy, the idea of frozen seafood dishes has us a bit skeptical. That’s a combination that seems like it could end in disaster, right? 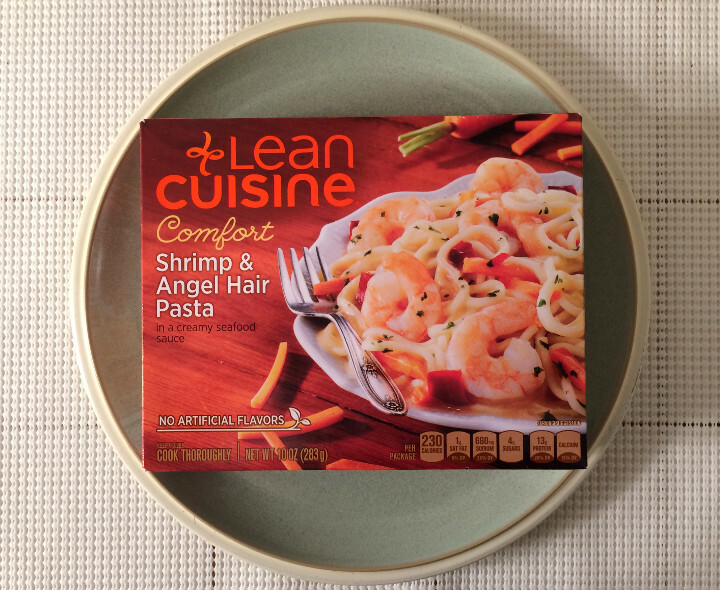 Thankfully, Lean Cuisine’s Shrimp & Angel Hair Pasta isn’t a disaster at all. 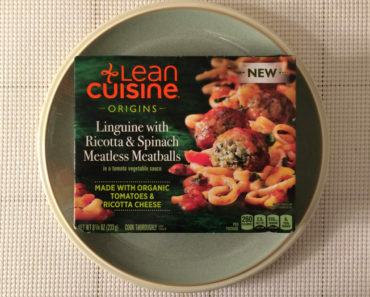 Lean Cuisine has been a bit hit or miss for us when it comes to noodles. 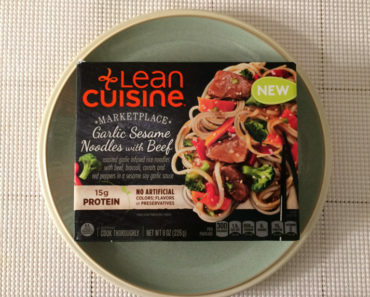 While some of their pasta dishes rank among our favorite frozen meals, we’ve also experienced oddly burnt-tasting noodles and some that were a bit too starchy. Thankfully, the angel hair pasta has a pretty good texture to it, and it doesn’t taste burnt at all. It’s perhaps a little on the soggy side, but not in a bad way. 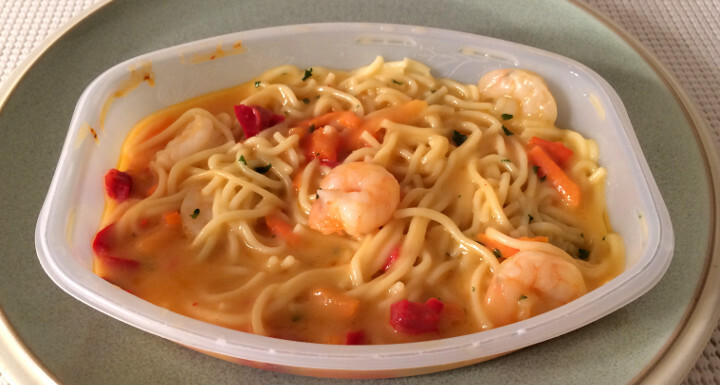 As far as flavor, the pasta steps aside and lets the seafood sauce do the talking. The shrimp itself isn’t the best we’ve ever had, but it tastes pretty good and it soaks up a lot of flavor from the seafood sauce. 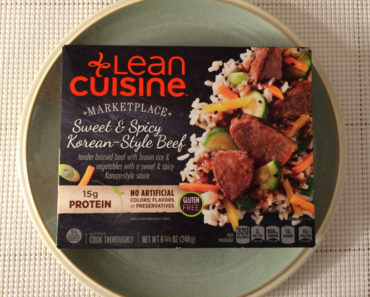 The sauce’s flavor is subtle, and it’s more like a broth than a true sauce, but that’s not a bad thing. When handled poorly, seafood sauces can develop a sort of rotten fish taste, and that’s not a problem here. There are veggies as well — carrots and roasted red peppers — though they’re kind of an afterthought. They certainly don’t take center stage. 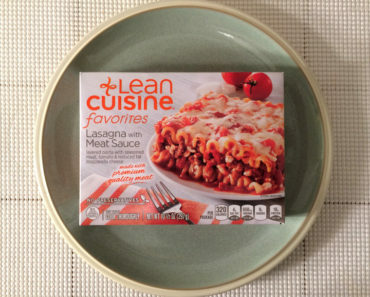 All in all, Lean Cuisine’s Shrimp & Angel Hair Pasta is pleasant to eat. 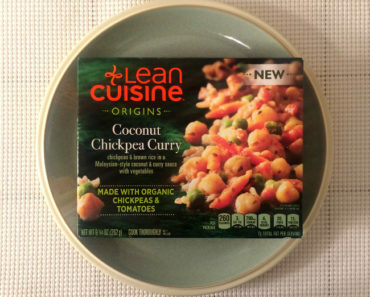 It avoids every potential pitfall that had us nervous to try it out in the first place, and it ends up being a pretty decent meal for those with a seafood craving. To learn more about the ingredients and nutrition info, check out our package scans below.